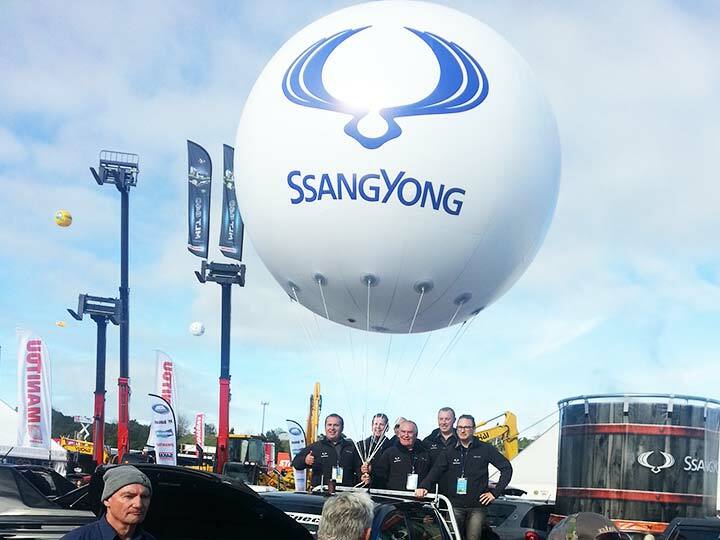 Ssangyong - Balloon Promoters Ltd.
Promote your business or brand with giant 3D balloons – these can be product replicas or simply something different that just grabs the publics’ eye and draws their attention to your stand! It can be air filled on the ground or helium filled and flying in the sky above your marquee! You can use these indoors or outdoors depending on what is required! We can discuss what best suits your needs, obligation free quotes offered, hire or purchase the balloons, full service options available – just call us or drop us an email!